and a trademark: "Liberation is a trademark of Red Hat, Inc. registered in U.S. Patent and Trademark Office and certain other jurisdictions.". In the license text of the ttf font package, we find: "Copyright ¬© 2007 Red Hat, Inc. All rights reserved. 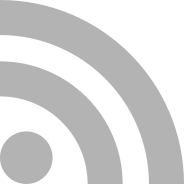 LIBERATION is a trademark of Red Hat, Inc.", and the license text is GPL. 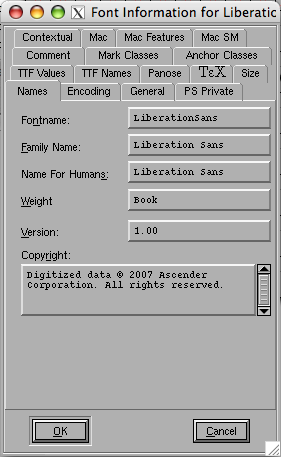 "Use of this Liberation font software is subject to the license agreement under which you accepted the Liberation font software." Interesting as well: Liberation Sans seems to have been created in 1970, while all the others in the pack were in 2004 or 2005. Looking forward, the owner of rights of this font are Ascender Corporation, "leading provider of advanced font products specializing in type design, font development and licensing" company, which offers services such as Font Branding. you can also contact their "Font Licensing Specialists"
Sure designer Steve Matteson knows exactly the font system specs - and what he does: "...in 1990 he began work at Monotype to create the Windows core TrueType fonts: Arial, Times New Roman and Courier New". He designed a.o. Xbox 360 Branding Fonts and is part of the Segoe Vista font team development. By the way, there is no Comic-Sans-like font in the L-pack. Which designer will have the honour of drawing it?